This post was written for Specialized. See the original post here. Well, it’s definitely no secret that my Camber and I have become quite the pair. My boyfriend and I have even started making a tiny course to practice on in our backyard AND I signed up for a Women’s Downhill Camp that’s happening in July. I pretty much jumped in with both feet to say the least. I’m still SO incredibly new, but very set on learning. 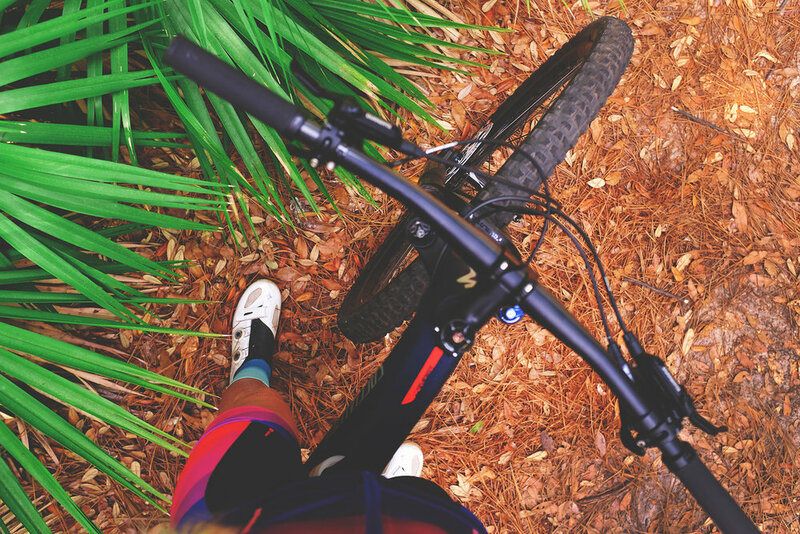 This past weekend we took a trip to Destin for a little beach vacation and while we were there we thought we would visit a local MTB trail. We reached out for suggestions on social media, found the address of a trail near by, packed up our stuff, and headed out. The trail head had no map of the trail system, but plenty of bear warnings. As we’re riding along I’m thinking to myself how flat it is, no one would need anything more than a CX bike out here, easiest trail ever, so and so on and then BAM I over correct and throw myself into a tree. 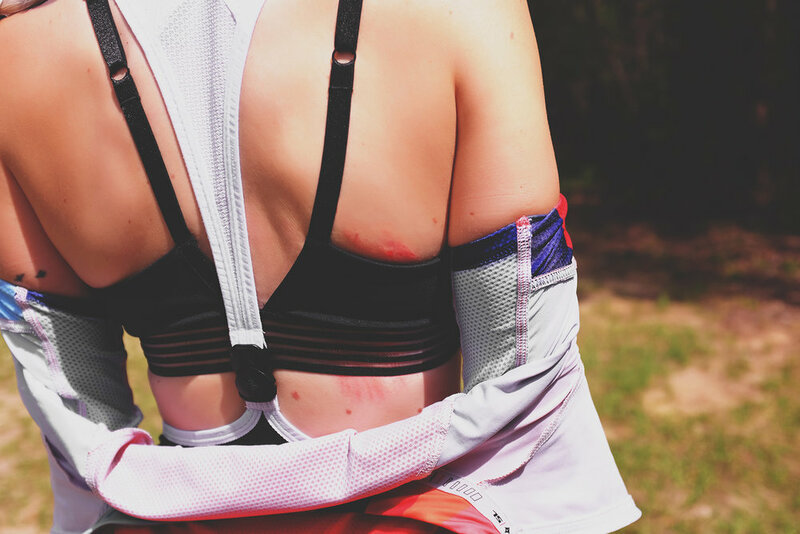 Just goes to show you that you can literally fall anywhere so use this as my friendly reminder to wear a helmet while riding. Regardless of the tiny scratches (and slightly hurt ego) I ended up with, we had fun, explored through the path of palm trees, admired the crazy amount of white moss, and of course stopped to take photos. We finished the ride, stopped for acai bowls, and ended our day playing in the ocean while enjoying Floridas white sandy beaches. Bikes, food, and the beach - I’d say this is one of my favorite ways to spend a day.